One of my users upgrade his laptop to Windows 10. The upgrade process was quite streamlined and trouble free. After the upgrade Outlook not sending anymore. 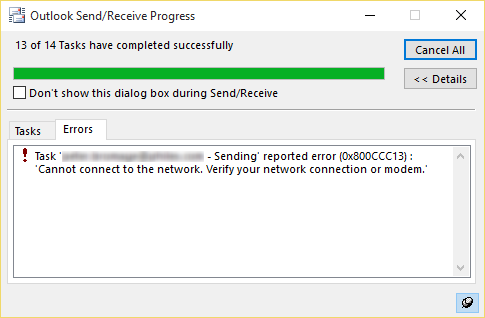 All the mail server settings are correct and the test message is successful too. 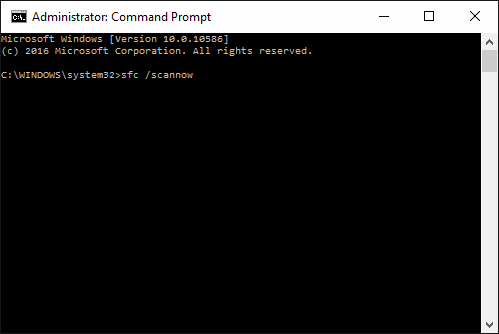 Once System File Checker process is finished, reboot the computer. I hope that this article helped you to understand why Outlook not sending after Windows 10 upgrade – Error Ox800CCC13 and how to resolve it. Feel free to share your thoughts about this article using the comments section below or catch us on Twitter. The social Media website Myspace has about 110 million registered users. If the social media site had been considered a country it would be the 10th largest; right after Mexico.